What is Your Food Worth? Where is the (Brotherly) Love? 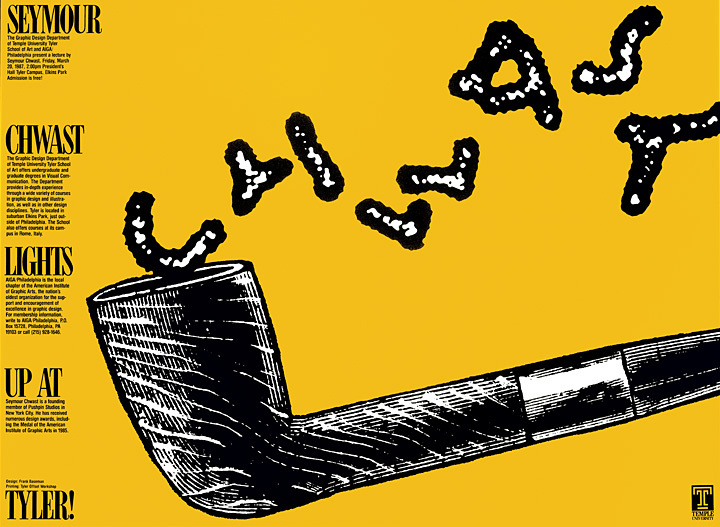 Poster to announce a lecture by a famous designer who happens to smoke a pipe (his signature makes up the smoke). City of Brotherly Love? Stop the Violence!